Ladbrokes are one of Britain’s big four high street bookmakers and with origins going back as far as 1886 they have history, as well as size, on their side. They really are a British institution and with over 2,500 bricks-and-mortar betting shops in the UK and Europe, a turnover the right side of £1bn and around one million active clients they are one of the biggest players in the global gaming world. As well as sports betting Ladbrokes also offer, well, just about everything else. 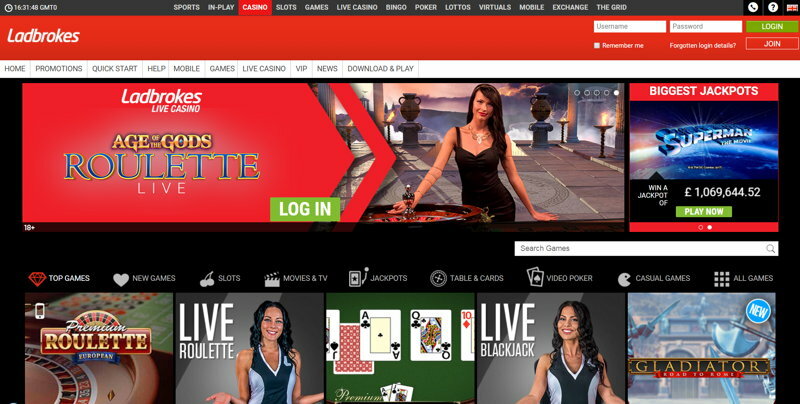 If you like – deep breath – casinos, poker, bingo, financial betting, games, virtual sports, live dealer casinos or lotteries, Ladbrokes have got it covered. They recently acquired betting exchange Betdaq and so they even have that in their locker now. Whilst they do have something of a reputation for being old-fashioned, in recent years they have made efforts to modernise their image and there is simply no reason not to have an account with these gaming giants. As you would expect with such a sizeable, established company, they have a great reputation for honesty and integrity and they are undoubtedly a safe and secure place to game, whatever your favoured option happens to be. Another thing that their size offers is no end of extras to make your overall experience more enjoyable. They have a superb mobile site, flawless customer service, a top notch online help and FAQ section and an in-play platform that is also right up there with the very best. The sportsbook has a huge range of markets and solid odds, whilst the casino, games and bingo suites have a magnificent selection of games to keep even the keenest player occupied for hours. Ladbrokes are one of our favourite bookmakers and with 13 tailored versions of their site available they are a global company with few, if any, weaknesses. As well as the matched bet, there’s almost always something going on in the offers department – most notably when it comes to football. In particular, the promo team at Ladbrokes are clearly fond of short-term price boosts, as well as running money-back specials on bigger matches. Ladbrokes is powered by Microgaming, which means they can access a boatload of the best casino games on the market. Their slots portfolio is probably where they excel with literally hundreds of titles to choose from. Table games are well catered for along with live casino, jackpot games, video poker and a lot more. 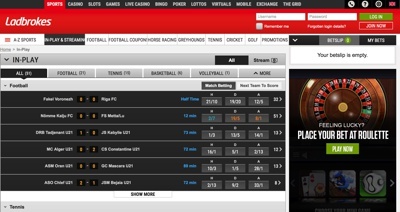 All of these games are also available on Ladbrokes’ newly redesigned mobile app, making tem even more accessible. 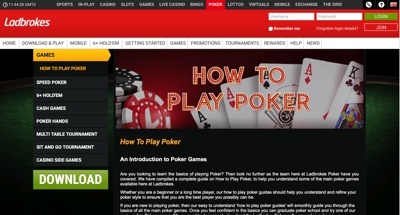 The poker room is powered by iPoker, one of the biggest networks in the world They include features such as mobile poker and a VIP rewards club. The VIP section means you can cash in your points earned at the tables for cash regards and also a range of products despatched by Ladbrokes. Virtue fusion is Ladbrokes’ operator and with that comes a number of highly sought after 90-ball and 75-ball bingo games. What we found particularly impressive is how many of the game had significant jackpots on offer, and by significant we mean four figures plus. It wasn’t for all games, but a good portion. 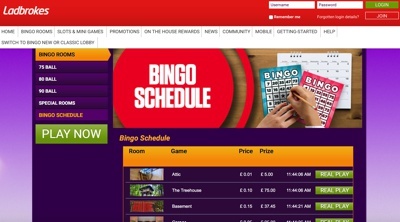 The bingo room is also fully available on mobile devices, making it easily accessible to people on the go.